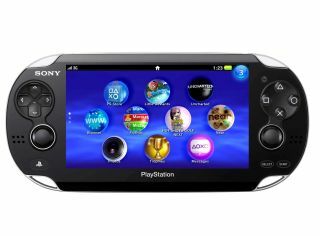 Future Sony handhelds to be 3D enabled? Sony NGP - 3D or not 3D? Sony hasn't ruled out 3D for handheld gaming, with Mick Hocking, the director of Sony WorldWide Studios' 3D team, bigging up the technology for the small screen. Speaking to Develop, Hocking explained that 3D for smaller screens was getting better. "The amount of new 3D mobile devices at this year's CES show is evidence of that," he said. "As small screen 3D improves we may be able to deliver these high quality 3D experiences on smaller screens." It's unlikely, however, this will mean the Sony NGP (potentially now called Sony PlayStation Vita) is to get 3D capabilities, with Hocking noting: "Our focus at the moment is on delivering the highest quality 3D games viewing experiences, and currently this is best done on HD 3D TVs." One of the best demonstrations of this seems to be Uncharted 3, which is in development at the moment. "When Uncharted 3 launches it will show a new level in 3D gaming," said Hocking. "Naughty Dog are obviously one of the world's top developers, and what they've done with Uncharted 3 in 3D will really convince people of our full-screen HD 3D solution... Genuinely, Uncharted 3 looks phenomenal in 3D."